Sailing Southern Ground has found their songwriters. We co-sponsored a contest where you submitted your tracks for a chance to perform on Zac Brown Bands’ Sailing Southern Ground Cruise, a floating music festival that takes off from Tampa, Florida, en route to the Cayman Islands. We’re happy to announce the winner of the contest, hand-selected by the Zac Brown Band themselves. Ladies and gentlemen, meet The Jompson Brothers. Born in the garage, built for the arena, and hailing from Nashville, Tennessee, The Jompson Brothers are a new breed of Rock ‘n’ Roll. 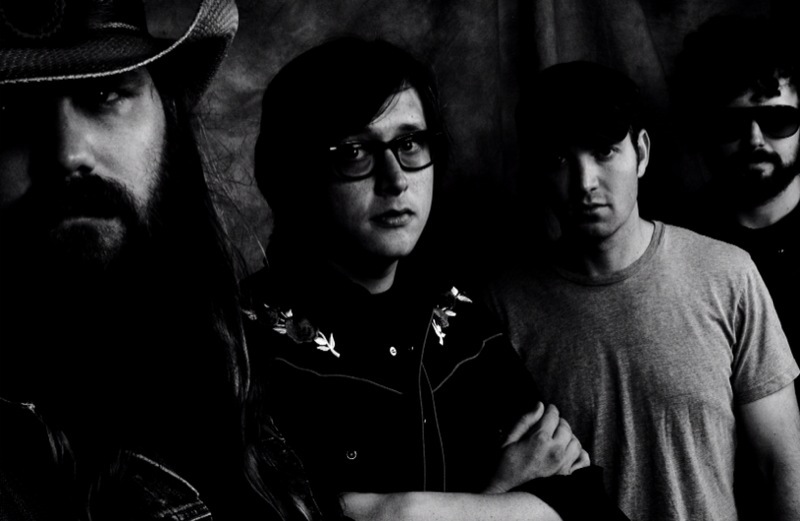 They’re a riff-driven, fist-pumping sonic assault fronted by Grammy-nominated vocalist, Chris Stapleton. JT Cure (bass) and Bard McNamee (drums) provide the tight, chest-thumping back line while Greg McKee brings the lead guitar swagger. Their first studio album is expected to be released in the fall of 2010. Out of all your material, why did you pick the song “On the Run” to submit? Actually, we didn’t pick or submit anything. Our good friend and relentless Jompson Brothers advocate, Daniel Clower did it for us. It was totally his call. Ever been on a rock cruise? What do you think it will be like? We haven’t been on a rock cruise, or any cruise as a band. It will be a lot of fun. We can’t wait to meet lots of new people and hopefully make some new fans. Are you big fans of the Zac Brown Band? Who doesn’t like songs about cold beer, women, and tropical paradise? How long have you been together? Are you actually brothers? We’re brothers in music, and have been performing together for three or four years now. It’s really rewarding to make music with great musicians who are also great friends. How’d you pick the name? We all created alter egos, sort of as a joke, with the last name “Jompson.” After a while, we started calling ourselves the Jompson Brothers. It was used as a working name for the band while we were in the early stages of forming the group. We talked about changing it several times, but ended up using it for so long we couldn’t find anything else that seemed right, so we stuck with it. What inspired the song you won with? Who wrote it? “On the Run” is one of the few songs we play that was written outside of the band setting. It was co-written by Chris Stapleton and Lee Miller. As far as inspiration goes, that song was written around the opening guitar lick. We locked into an overall mood and went with it. What else have you guys got coming up? When can we expect an album? Our full-length debut album is in the final stages of post-production. We’ll have an EP available on the cruise. In the meantime, we’ve been playing as many shows as possible to grow our fan base. We have a couple shows coming up at The Basement as well as the Music City BBQ Festival at Riverfront Park in Nashville on August 27th. That will be a great opportunity to reach out to our hometown fans. In a band setting, the key to good songwriting is not to force anything and to have fun. If you have fun writing and playing a song, then there’s a good chance someone will have fun listening.